For most people, good design is usually considered as something that’s timeless. But if we are to face the facts, even the most timeless of all designs were probably not done overnight. Some of them may have taken a huge amount of time to finish and perfect; not to mention the numerous revisions on the design or even the process in order to come up with the best end result possible. So if we think about it, a lot of good designs we’ve seen in history is actually a product of evolution. The continuous process of striving to become better have allowed the human mind to create one of a kind and amazing pieces of art and science that manages to inspire us each time we look at them. This evolution is clearly seen in things that surround us every day, particularly ordinary household items that we see as ordinary and uninteresting. Today, we will take a look at a few designs that have changed throughout the years and are now providing us with the best product experience. Motorola was one of the first companies to bring mobile communications to the masses. In 1983, the 8000x DynaTAC went on sale and was priced at $3,995. The DynaTAC offered 30 minutes of talk time and 8 hours of standby time, and an internal memory that can store 30 phone numbers. The device weighs 790g and was 10 inches long. The DynaTAC’s great, great, great grandchild is the Motorola Droid RAZR. It has a touchscreen display and went on sale October 2011 for around $600. The Droid RAZR offers around 9 hours of talk time and 304 hours of standby time and an internal memory of 16GB. This phone weighs approximately 127g and is 7.1mm thick. 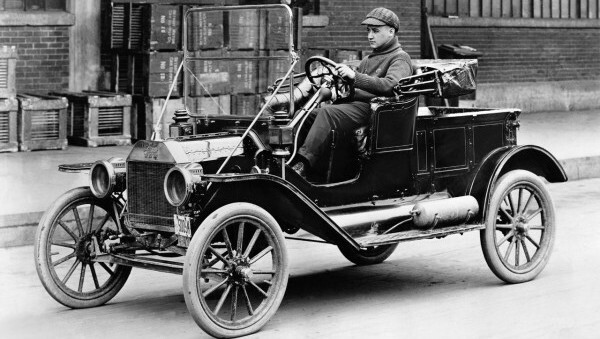 The Ford model T was one of the most iconic practical and affordable cars in history. The Model T had a 177-cubic inch front mounted inline four-cylinder engine capable of producing 20hp and a top speed of 40-45 mph. There were several versions of the car all of which were very affordable which start at $850 in 1909. The prices were further lowered down because of increased production and efficiency which allowed for the car to be sold for a mere $260 in the 1920s. A century later, Ford is now building a new breed of affordable cars. The lowest priced car in its lineup is the Ford Fiesta. The standard Ford Fiesta sports a 1.6L engine capable of producing 120hp at 6350 rpm. The MSRP of the 2013 Ford Fiesta is set at around $14,000. The Predicta is American Television made in the 1950 by Philco Company. It is one of the most iconic TV sets in the 1950s and makes use of a short necked picture tube and a two volt heater. They were originally designed to be distributed to Holiday Inn hotels but the radical design of the set was later on rejected. The TV set also had problems with reliability. This together with a low demand drove Philco to bankruptcy and therefore prevented the production of more Predicta TVs. Fast forward to the 21st century and you now have Samsung’s Smart TV. Samsung manufactures several models of this state-of-the-art television set which not only provides entertainment through TV shows but also has the capability to connect to the content and media rich environment that is the Internet. In the realm of laptops, the name DELL is usually synonymous to quality and performance. The company was founded in 1984 and is now producing the best and most sought after computers in the market. Back in 1991 it released one of its first laptop models – the 320 LT. This portable computer is powered by a 80386-SX processor clocked at 20 Mhz and comes preloaded with either 1 or 2 MB of RAM. In terms of physical dimensions, the device weighs 14.8 lbs. and is 3.25 inches thick. Two decades later, Dell is now selling a XPS 14 laptop. This super thin device features the latest generation of Intel Core processors clocked at up to 3.0 GHz and has 4 to 8 GB of RAM. The device weighs 4.6 lbs and is 0.81 inches thick. Apple is one of the most popular brands in the world today. But before the iPhone, iPad and MacBook, Apple had the Macintosh SE. The SE was ahead of its time, with it being one of the first devices to feature an internal drive bay for a hard disk (20 or 40 MB), an expansion slot, an Apple Desktop Bus (ADB) for keyboard and mouse interface and improved reliability due to the addition of a cooling fan. The SE was sold for $3,900 back in 1987. Today, Apple prides itself by producing one of the best-looking desktop computers in the market – the iMac. The most up-to-date model of the iMac is powered by an Intel quad-core processor with at least 2GB of RAM and 500GB of on-board storage. There’s a built in camera, a wireless mouse and keyboard and a scrolling trackpad for more precise cursor conrols. Prices start at $1,199. O’Keefe & Merritt was a known manufacturer of stove and ovens in the 1950s. Their products were generally characterized by porcelain coated panels, oven with glass doors, drop in salt and pepper shakers, vanishing shelf/cover and chrome light cover to name a few. The company stopped production in the 1960s as they went bankrupt and was bought by another stove manufacturing company – Tappan. Nowadays, a new type of technology is slowly gaining popularity for professional cooks and homemakers alike. Induction cooking which makes use electrical coils to heat food is more energy efficient and safer than traditional electric cooking surface. One brand that has invested in this technology is General Electric (GE). Their induction cooktops feature electronic touch controls, automatic pan detection, control lock capability, an electronic kitchen timer and a high heat sensor to name a few. Do you know other examples that showcases design evolution? Tell us be leaving a comment below. You can also add us up on Facebook, Twitter and Google+. Our RSS Feeds, as well as our newsletter are open for subscription in case you want to get the latest news and features from the You The Designer team.